The Lady Macks (13-2, 8-2 Western Cloverbelt Conference) started out a bit flat and unexpectedly fell behind early against a motivated Fall Creek team, but battled back in a seesaw affair, trailing by one at the half before regaining the advantage and pulling away down the stretch against Crickets (4-11, 4-6 WCC). Junior guard Abby Wampler poured in a game-high 20 points - 10 in each half - including four makes from beyond the arc. 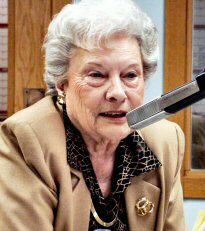 Mabel Louise, live on the air Tuesday morning at 11:15. The New Orleans Saints playoff run came to an abrupt and painful end in Minneapolis when they lost to the Vikings in the last seconds of their NFC semi final. Saints Wide receiver Austin Carr joins Greg on Sports and Commentary to talk about the "Minneapolis Miracle", his season playing for two NFL playoff teams and how God used the journey to reaffirm his faith. Part 1 of a 2 part series.